“The market”, AKA global capitalism, is trampling workers under foot the world over. Yes, he actually said that – Gunther Oettinger, senior member of the European Commission. The “markets will teach Italians how to vote.” In other words, the blind, impersonal forces of global capitalist finance will punish any nation which elects leaders that don’t favor economic “discipline”, meaning austerity. Workers in the US should pay attention because events in Italy – the ninth largest world economy – will affect global capitalism, not only economically but also politically. In March of this year, general elections were held in Italy. 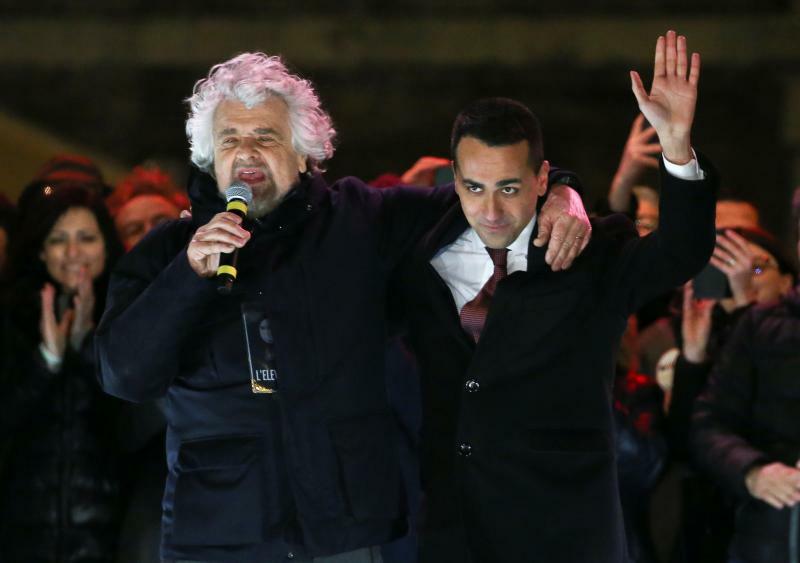 An alliance between the far right League and former comedian Beppe Grillo’s 5 Star Movement (M5S) won the largest share of the seats but no party or coalition won an absolute majority. This has resulted in political paralysis. Recently, the president refused to appoint a representative of this alliance between M5S and the League as economics minister, effectively blocking the alliance from forming a new government. One was the wave if immigrants/refugees from Northern Africa. This is upsetting the political balance throughout Europe, including in that most stable of European countries – Germany, where the chauvinist Alternative for Germany (AfD) is a rising force. Born and nurtured throughout its life by a sense of national identity, this sense is feeling threatened by this immigration wave. Were there a real, international working class movement, workers would be motivated by international working class solidarity. In its near total absence, chauvinism is moving to the fore. This reaction is exacerbated by capitalism’s economic crisis, for which workers are being made to pay. During the post WW II economic boom, hundreds of thousands of workers from Turkey came to work in Germany. Nobody was bothered about that, because times were relatively good and jobs were plentiful. 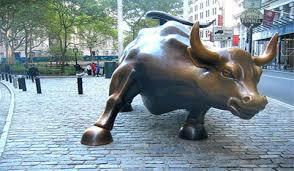 Now, the neoliberal economic attacks are heightening the insecurity and the rising chauvinism. The chauvinist campaign for Brexit. It also rested on economic insecurity. 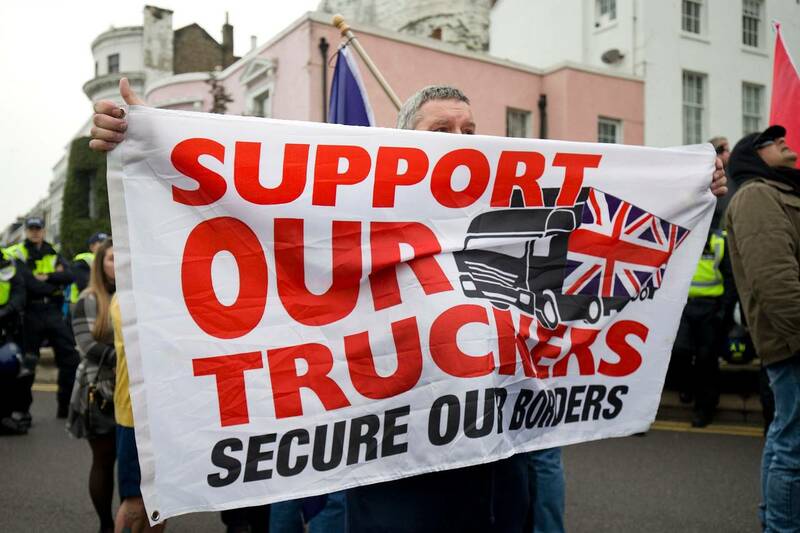 Supported by many socialists, the Brexit vote was also of the first warnings of the growing red-brown alliance – an alliance between “red” socialists and brown-shirt far right wingers, including outright fascists. Where M5S could end up is indicated by the Wikipedia article on it. That article comments that M5S “may not be included in the traditional left-right paradigm.” The blurring of these lines has always been attempted by a wing of fascism, starting with the “Strasser” wing of the Nazis. Today, the Russian fascist Aleksander Dugin calls for a “third way” that is neither left nor right. This blurring of the lines is always done in order to obscure the far right, racist, repressive and anti-working class drives of the far right. That is what M5S represents. The relative quiet of US workers cannot last forever. One sign of this is the revolt of teachers throughout the country. Another is the revolt of rank and file carpenters in Western Washington, who have twice rejected contracts proposed by their leadership. How such a revolt will be generalized is impossible to predict at this point. However it happens, socialists can play a vital role in such a revolt. But not if they form part of their own red brown alliance, supporting the tyrant Assad as well as the reactionary yearnings to return to days gone by never to return – the days when individual nation-states actually had a degree of independence from global financiers. We can only play a real role as fighters for real international working class solidarity in deeds, not just words.